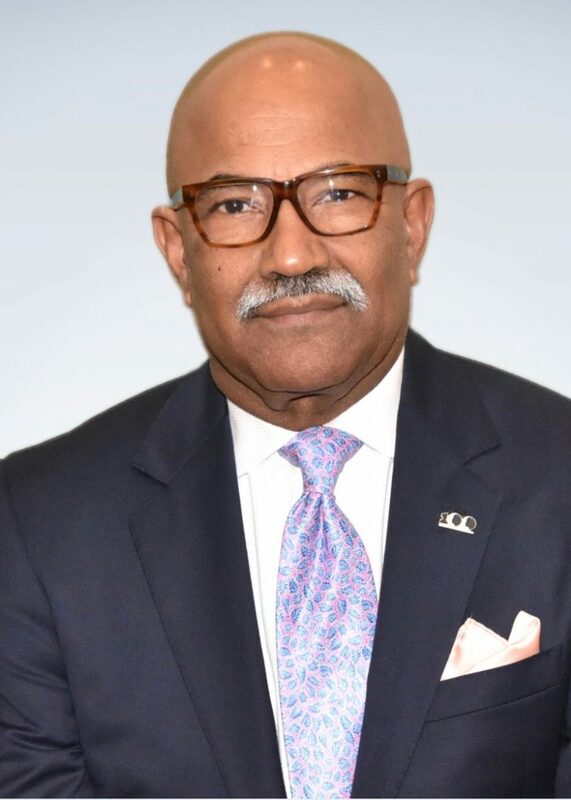 Michael W. Victorian – 100 Black Men of America, Inc.
Michael W. Victorian is the Immediate Past-President and Chairman of the Board of the 100 Black Men of Metro Baton Rouge, LTD., and a Senior Client Executive at CMA Technology Solutions. Prior to joining CMA Technology Solutions, Victorian worked at IBM for 30+ years in sales and marketing. At IBM, he was a consistent top performer and award winner. Since being elected to membership of 100 Black Men of Metro Baton Rouge in July 1994, Michael has demonstrated his personal commitment to the community by mentoring and working to enhance the lives of African-American youth. Michael has served as a member of the Board of Directors of the 100 Black Men of Metro Baton Rouge, LTD., from 1996 through the present – except for two years (2005-2007) when work travel was particularly intense. Twice, he was elected Vice President of Operations (2007-2013) before being elected President and Chairman of the Board, from July 2013 to June 2017. He is particularly committed to 100 Black Men of Baton Rouge’s Project Excel Mentoring Program, the organization’s “flagship project” that focuses on mentoring African-American males. The Mentoring Program targets middle school males. In addition, his commitment is to the ACT Prep Academy. The goal of the eight-week program is to increase the number of underrepresented student populations that can become eligible for the Louisiana TOPS program. Under Michael’s leadership, the 100 Black Men of Metro Baton Rouge integrated the “Wise Guys” curriculum into their Health & Wellness program. The goal of Wise Guys is to reduce teen pregnancy rates and STDs, including HIV/AIDS. The chapter also experienced a 30% membership increase as well as a 20% fund development increase during his tenure as President. In June 2017, Michael was elected to serve as a National Board Member of 100 Black Men of America to support the Chapters throughout the unified network across the United States in its mentoring, education, economic development and health and wellness efforts. In June 2017, he was presented the ,100 Black Men of America’s, Leonard Knight Leadership Award. In January 2018 Michael was appointed as the Chairman of the 100 Black Men of America Collegiate 100 committee. Michael is a member of the Governor’s Children’s Cabinet Advisory Board which is a member network of more than 44 public and private sector organizations including service providers, advocacy groups, state and local stakeholders. This group is responsible for making recommendations to the Children’s Cabinet on pertinent children & family issues. Michael also serves on the Baton Rouge Area Foundation’s Civic Leadership Initiatives Committee, Baton Rouge Area Chamber Diversity and Inclusion Committee and is a member of the Gloryland Baptist Church where he previously served as a board member on the Gloryland Education Resource Center Foundation. He is a proud member of Kappa Alpha Psi Fraternity, Inc. Additionally, Michael has served on the transition teams of both Governor John Bel Edwards of Louisiana and Mayor-President Sharon Weston-Broome of City of Baton Rouge and Parish of East Baton Rouge. A proud native of Eunice, LA, Michael received a bachelor’s degree from Southern University and A&M College and is married to Kathy Victorian. He has three adult children and four grandchildren.